Earth Notes: Earth Notes Turned 10 in 2017! 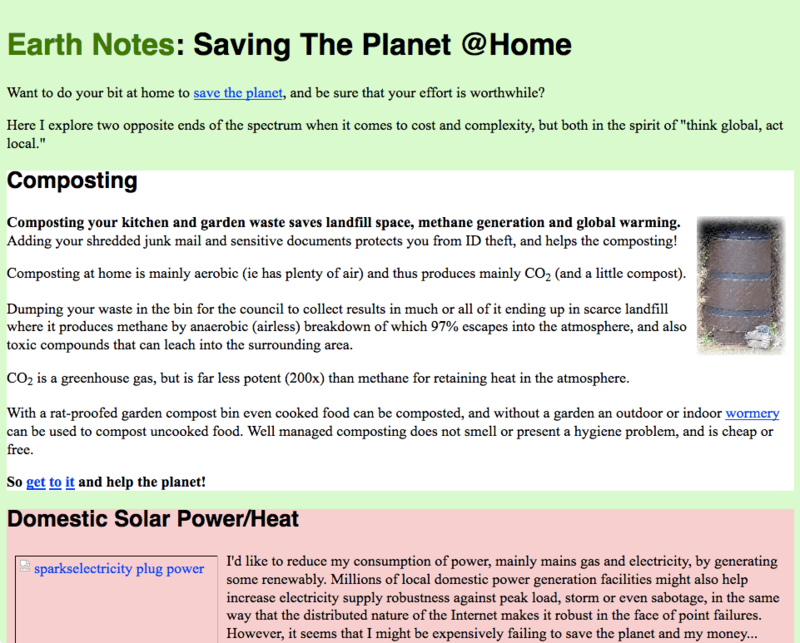 Early in 2007 I had a minor brainwave and decided to create a simple single-page microsite about composting vs domestic solar power, an issue that was exercising me at the time, of which the remnants are now in their own page. This site was born! I was just about getting the energy saving bug, though it really took towards the end of the year to truly bite, someone having made me think of optimising my home/office energy use as an engineering challenge. Ancient: screenshot for the site as of May 2007. 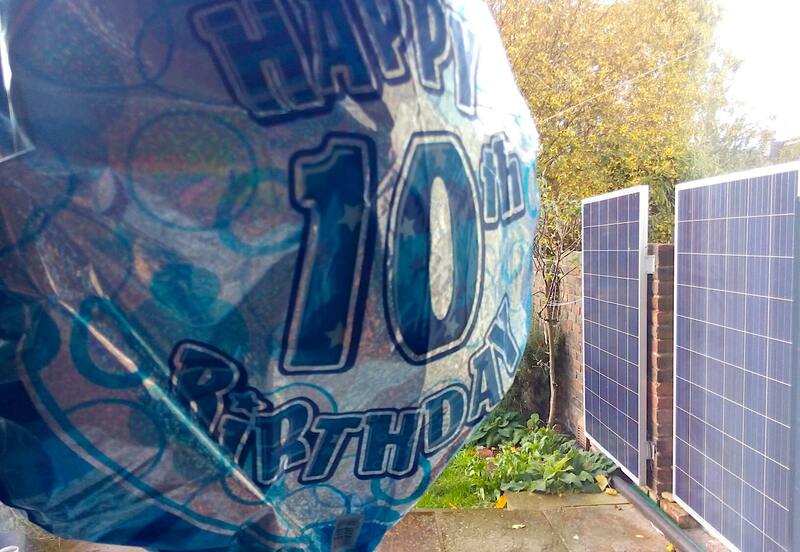 "Want to do your bit at home to save the planet, and be sure that your effort is worthwhile?" Click through to the Wayback Machine snapshot. 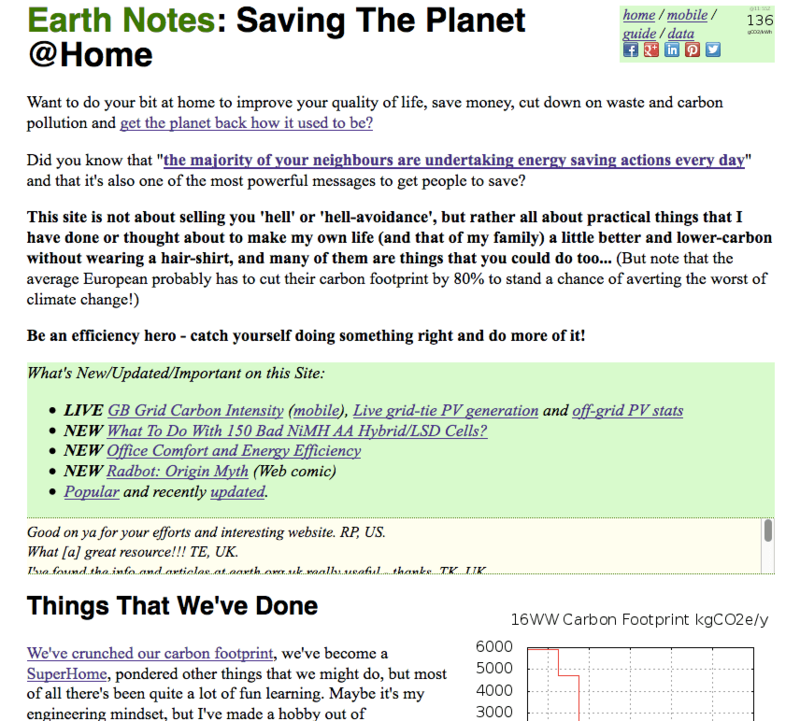 Now, something like 10 years after that 1-pager idea, Earth Notes is well over 100 pages, has been cited in research papers and newspapers, has been used as a data source by government departments and electric car/storage bods (in both those cases for PV generation data), has its own Twitter feed (@EarthOrgUK) with about 54,000 tweets so far, and is still going strong as of June 2017! The site boilerplate and styling can now evolve much faster. The site is HTML5+CSS and responsive, and the mobile version delivers a tweaked faster version for smaller screens and small connections, though still responsive. Moving on from rat-proofing the compost heap to bug-proofing the pile of HTML, the site build tools warn quickly of overly large or small or missing or broken key elements, making maintaining a bigger site acceptably efficient and robust. Modern: screenshot from June 2017. "Want to do your bit at home to improve your quality of life, save money, cut down on waste and carbon pollution and get the planet back how it used to be?" Click through to the archive.is snapshot. The thinking behind the site eventually had me lead a smart heating workshop at the UK's Department of Energy and Climate Change in late 2012, and start the Open-Source Thermostatic Radiator Valve (OpenTRV) project in 2013 with the aim of knocking several percent off Europe's carbon footprint (and several £billion annually off home heating bills). That's been an interesting journey that has been the most fun running a start-up in 30 years, learning all sorts of new business and manufacturing and marketing and money-raising skills, all started from a page about compost. As someone sharing my Yorkshire upbringing might say: "Where there's muck, there's brass." PS. I'd never have expected to commission and host a comic strip. Nor a major research project or two! I’ve been following your site for years now. GT, UK. 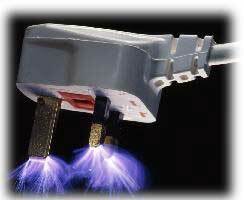 I’ve been looking through your website, I’m amazed at how much information there is on it! And great achievements with your Zero Low Carbon home. RS, UK. tinypng: great for reducing image size for PNG and JPEG/JPG. First published 2017-06-11 , updated 2019-04-22 . 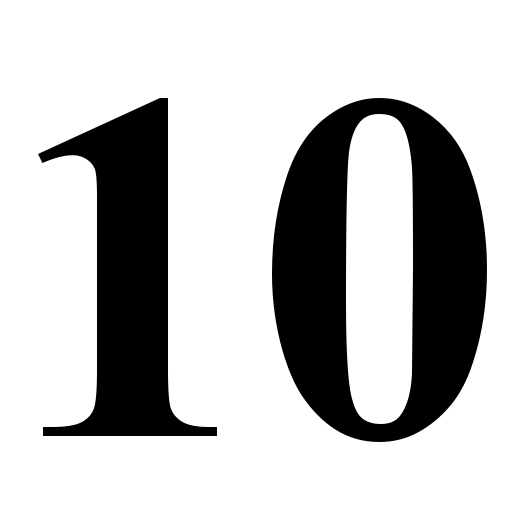 Site copyright © 2007-2019 Damon Hart-Davis. Hosted by ExNet.